I've been horrible about updating this site (as always, due to client work). Most of the stuff i'm working on I can't show yet, but I had to break the silence and help promote a great Kickstarter. My pal, Joey Ellis, is doing a Kickstarter for his own comic book, Leaky Timbers. 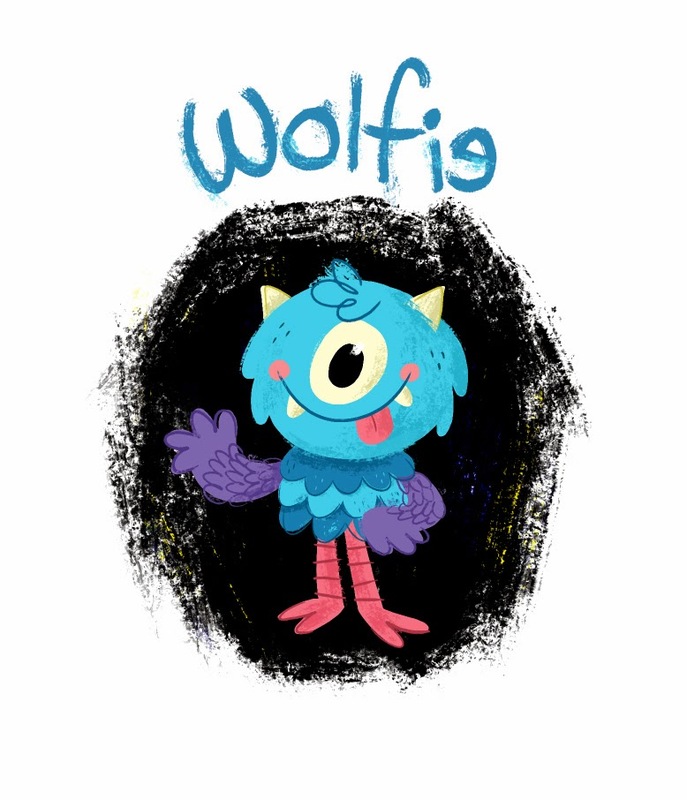 It stars Wolfie Monster and a slew of other crazy characters. If you're familiar with Joey's art at all then you know it's going to be a fun book! It only has 9 days left and it's very close to meeting it's goal, so please go support Joey! Since my whole family loves Wolfie, I had to draw up a quick fan piece. Enjoy!